(CNS): According to the summary of returns on election expenses published by the Elections Office for the 20 May General Election, Dr Frank McField, who stood as a an independent candidate for George Town, spent some $37,500 on his election, the highest spending of any candidate in the race. The United Democratic Party spent just short of $30,000 per candidate and the PPM just over $31,000. Of the 43 candidates that contested the race, thirty candidates including all of the elected members have complied with the law and declared their campaign spending. According to the Elections Law, however, there are no sanctions against those who have yet to reveal the money they spent on their campaigns ifthey are not elected to office. Of the independents that have declared, campaign costs have differed widely, with former UDP member and minister McField declaring $37,500 at the top end and Sandra Catron, in contrast, spending a mere $9,500. It is also apparent from the returns that big money did not necessarily equate to big results. The People’s Progressive Movement fielded ten candidates and spent just under $31,140 on each of their candidates but only returned half of them. The United Democratic Party, on the other hand, returned nine of their eleven candidates on a budget of $29,460 per head. 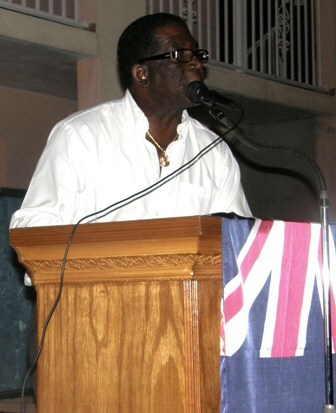 Ezzard Miller, independent candidate for North Side spent a modest $19,850 on his campaign and received more than 50% of the vote and was returned to the Legislative Assembly. Meanwhile, McField’s significant investment of $37,500 returned les than 5% of the vote, losing him his deposit. According to the summary, Burns Connolly also spent more than $35,000 but did return a significant number of votes for his first attempt and retained his deposit with over 17% of the electorate supporting him. Bernie Bush, who only spent $13,500 on his campaign in the district of West Bay, actually received almost 40% of the vote in his constituency a greater percentage than Dwayne Seymour who was returned to office in his district of Bodden Town who received only 36.5% of the vote. Imagine, those 40g’s would have gone a long way to building one more affordable home. Are u who speak so eloquently about others misgivings and+ willing to serve your country? Do these amounts include the costs for fill and fridges? Didn’t think so! Or the $1000’s being handed out by the "carnival queen" in George Town. Didn’t think so either!!!! The Elections Law is crazy…it only requires candidates to declare spending from Nomination day to election day….spending prior to Nomination day does not get accounted for so no one really knows how much was really spent. Secondly the limits per candidate needs to be reviewed…it caps it at $30,000 or $35,000 depending if you are a party member or an independent. It does not take into account the number of voters in each district. It is obviously set up to disadvantage the single independent challengers. It is also the disadvantage of candidates in the bigger districts. Last election those in GT/WB had about $5 per voter. those in small districts had $50 per voter. The Law should be modified to say something like this…” maximum spending cannot exceed $20,000 plus $10 per registered voter”….that way someone in GT would have $80,000( $13.33 per voter) to spend while someone in EE would have $26,000 ($43.33/voter). This is done elsewhere in the world. The spend per voter would be better equalized. At the moment the small districts have over 10 times the spend per voter. Why Frank insisted on making an even bigger fool of himself by running I will never know. It was entirely predictable (and predicted) that he would lose his deposit. At least no one can ever say that Frank didn’t contribute positively to the economy during the elections.